Posted on 11/05/2014 by U.N. Images now at my website. The ArcelorMittal plant in Nova Huta, a borough of Krakow, Poland was founded in 1949. 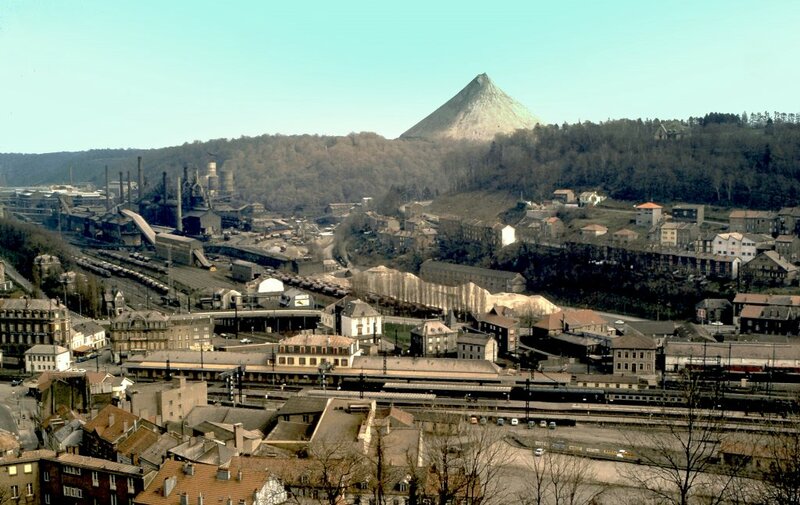 The mill was named Huta Lenin and the first iron from blast furnace No.1 was tapped in 1954.In 1955 an open hearth steel making shop was added and in 1956 a hot strip mill started production. Blast furnaces No.2 and No.3 were completed in 1956 and 1958. In between 1954-56 four coke oven batteries were built. In 1961 a fourth blast furnace was added. 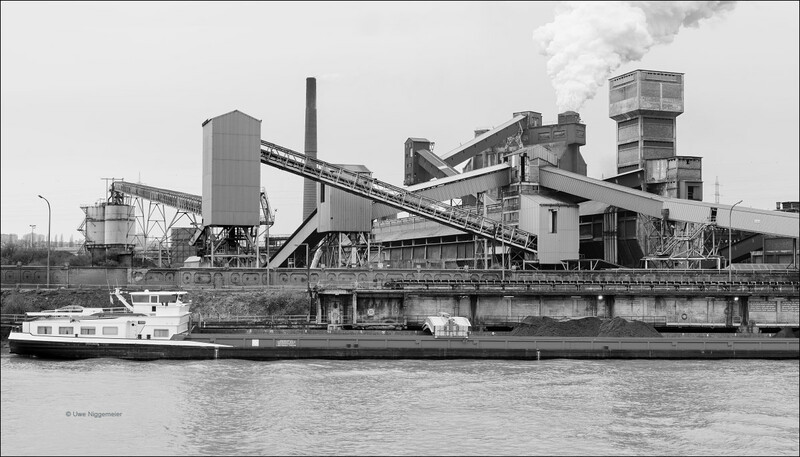 In 1966 the BOF melt shop containing two 100 ton vessels (a third vessel was added in 1971) was launched and the new large volume (2000m³) blast furnace No.5 was built. In 1970 some of the old open hearth furnaces were replaced by two new Tandem furnaces. In between 1978 and 1998 all BOFs were enlarged to 160 ton capacity. In 1990 the mill got it’s new name Huta Tadeusz Sendzimira. In June 1991 the open hearth steel plant was closed down.The Mittal steel group took over the site in 2005.Two years later a new state of the art wide hot strip mill was comissioned. Posted on 14/12/2013 by U.N. The Differdange, Luxembourg heavy sections mill holds the biggest roughing stand I have seen so far. The plant rolls the world’s largest beams (so called Jumbo Beams) with a weigth of up to 27 tons each. 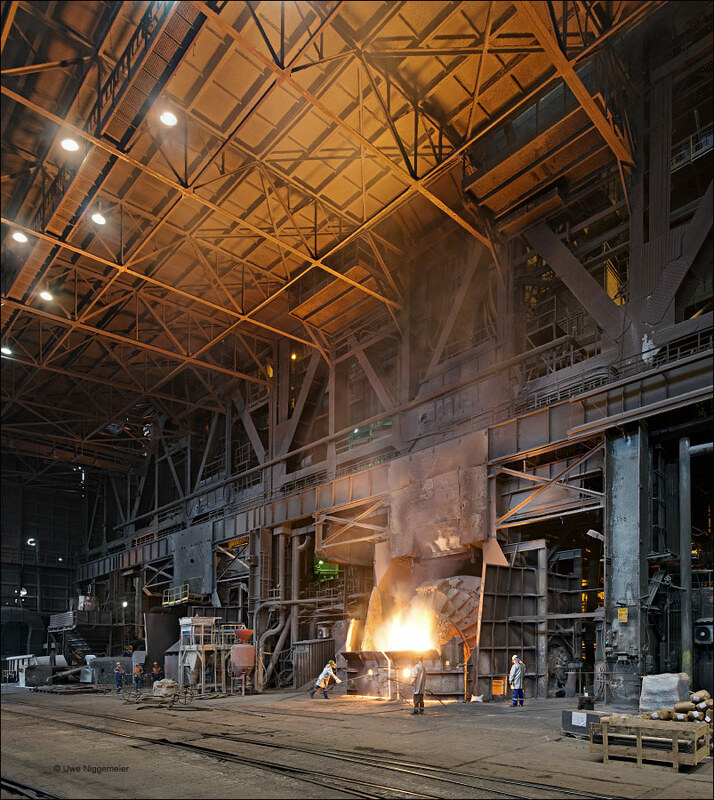 The melt shop contains one of the last and the largest twin shell furnaces. Further images now at Stahlseite. 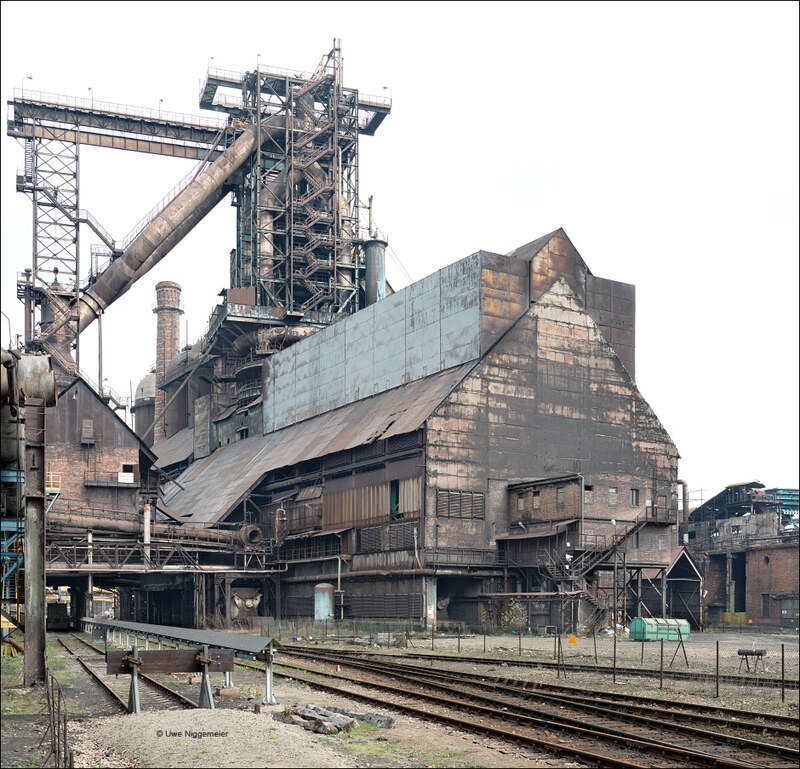 Steel making in Differdange, Luxembourg started in 1900 on ground of the Société Anonyme des Hauts-Fourneaux de Differdange with three blast furnaces and a Thomas (Bessemer) steel plant. From 1901 on the world famous wide-flange H-beams rolled directly from an ingot, invented by Henry Grey, were produced in Differdange. Seven years before the Bethlehem steel company installed a Grey mill in Pennsylvania. In 1903 Differdange became part of German Entrepreneur Hugo Stinnes’ Deutsch-Luxemburgische Bergwerks- und Hütten-AG. 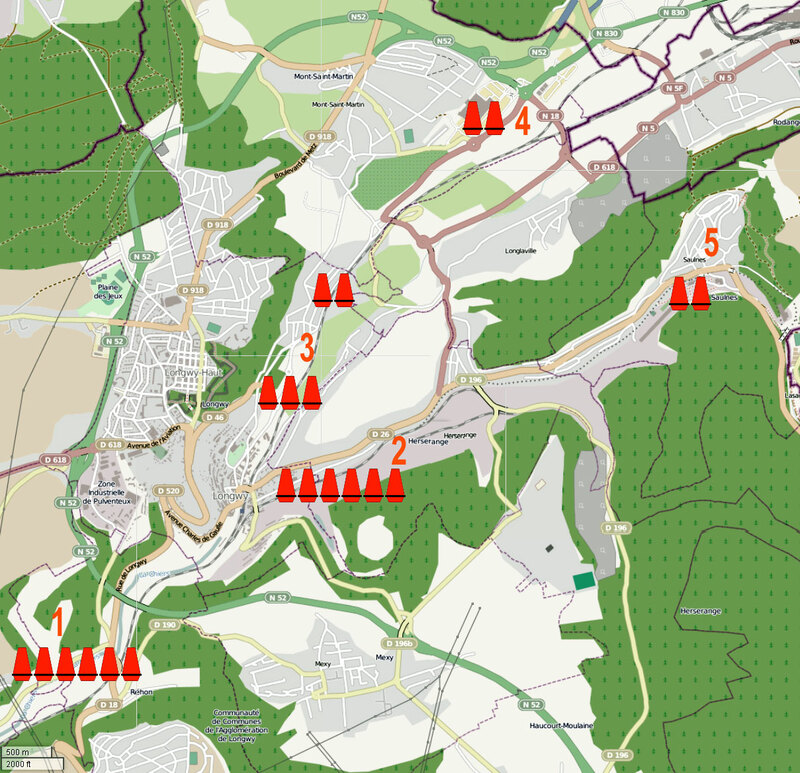 In 1920 the Hauts-Fourneaux et Aciéries de Differdange, St. Ingbert, Rumelange (HADIR) took over the site. A narrow strip mill and a tube mill were installed in the 1950ies. A new converter steel mill and two new blast furnaces went into production in the 1960ies. HADIR was absorbed by ARBED from Luxemburg in 1967. A BOF shop was built in 1972. The last blast furnaces was closed down in 1980. In 1994 the new 150 ton twin shell DC-electric arc furnace started operation. By 2002 ARBED merged with the French USINOR and the Spanish ACERALIA to form the world’s largest steel group ARCELOR. In 2006 ARCELOR was absorbed by Mittal Steel. Posted on 09/09/2013 by U.N.
AM Krivoy Rog, Ukraine announced to close it’s last open hearth furnace as soon as the modernization of BOF vessel No. 5 is finished. This will probably happen in late 2014. The 700 ton tandem open hearth furnace No. 6 is the last of it’s kind at ArcelorMittal, the worlds’s largest steel producer. Posted on 30/07/2013 by U.N. The works were built in 1930 by the German mining company Gräflich Schaffgottsche Werke. The design of the first coke oven batteries no.1&2 was carried out by the famous German industrial architects Fritz Schupp and Martin Kremmer.Both batteries were installed by the Still company. In between 1962 and 1968 batteries 3-6 were commissioned by a Russian manufacturer. All of the six batteries now existing were stamp charged. In 1972 a second strand of top charged batteries (7-10) was installed one kilometer south of the existing one.These ovens were built by a Polish company. From 2002 to 2004 batteries 7&8 were completly rebuilt and batteries 9&10 were abandoned. 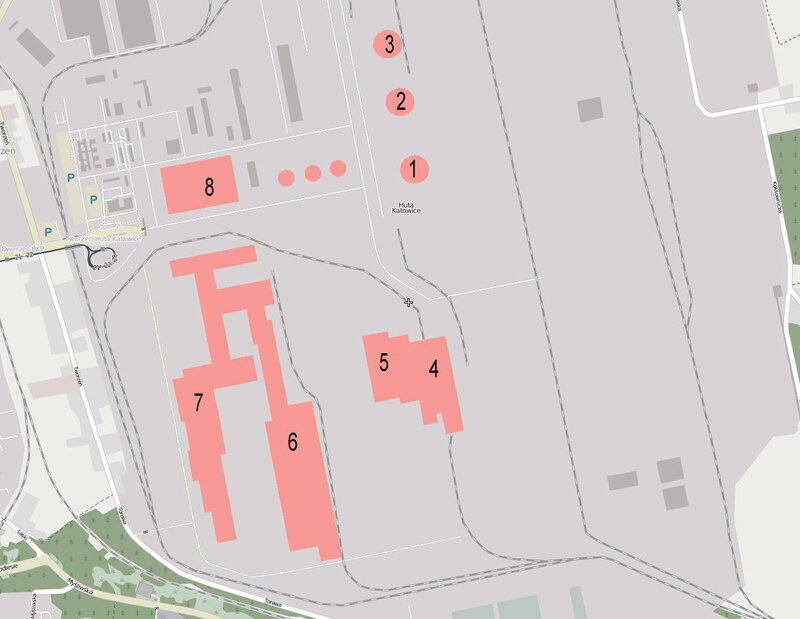 In between 2006 to 2008 two new batteries(11&12) were built west of battery no. 7 by the Zarmen company from Poland. Immediatly after the old batteries no. 1&2 were closed down and dismantled in 2010. Batteries 9&10 were torn down in 2011. Some new images at Stahlseite. Posted on 27/06/2013 by U.N. The Florida, USA based Oxbow mining group is rumored to take over the ArcelorMittal coking plant in Seraing, Belgium before long. The plant was built in 1957 and includes four coke oven batteries. Posted on 27/05/2013 by U.N. 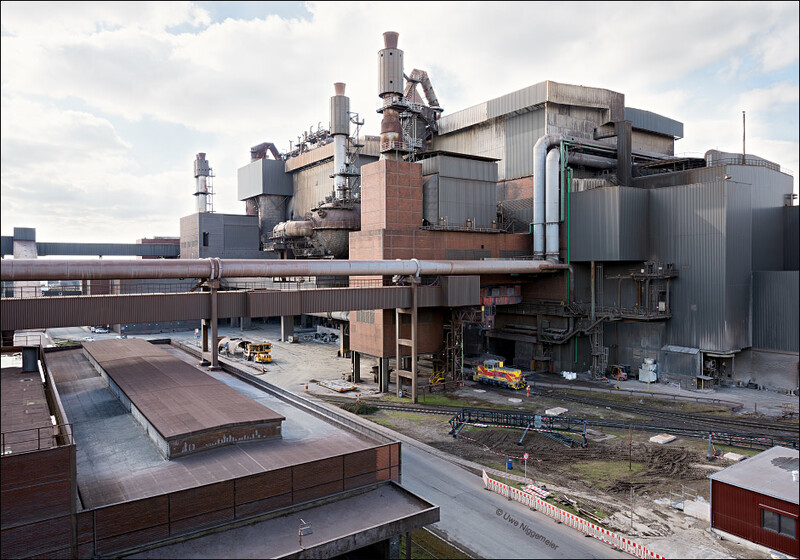 The famous German industrial architect built this melt shop in 1957 for Phoenix Rheinrohr in Duisburg, one of the largest German steel companies of that time. It was equipped with three Thomas converters and one modern oxygen converter. The building underwent several changes over the years especially when it was transformed into a BOF shop in 1969. 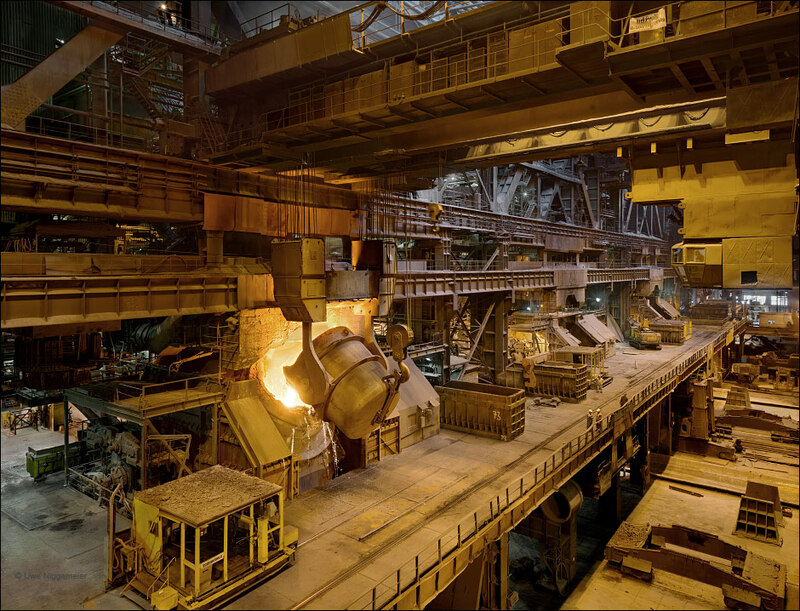 Nowadays the ArcelorMittal Ruhrort plant runs a steel making shop with two 140 ton BOF vessels (and one in reserve), two continuous casters and a two stand billet mill. 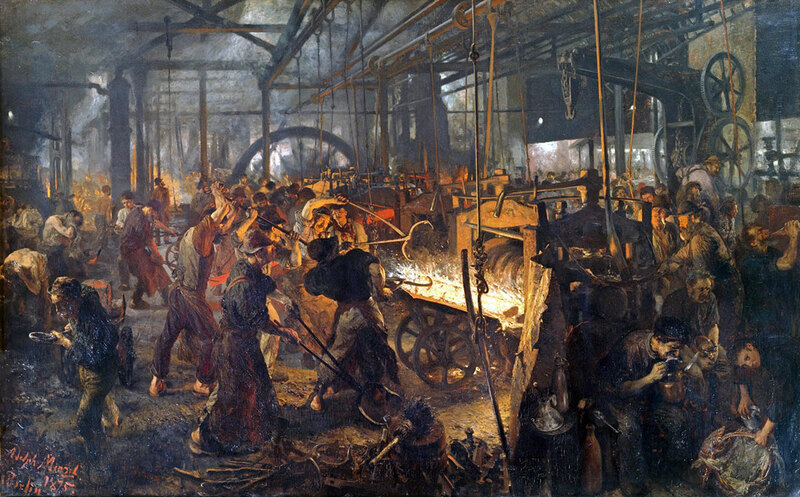 Hot metal comes from the ThyssenKrupp steel company in Duisburg via bottle cars. Further images on my site. Posted on 29/01/2013 by U.N. 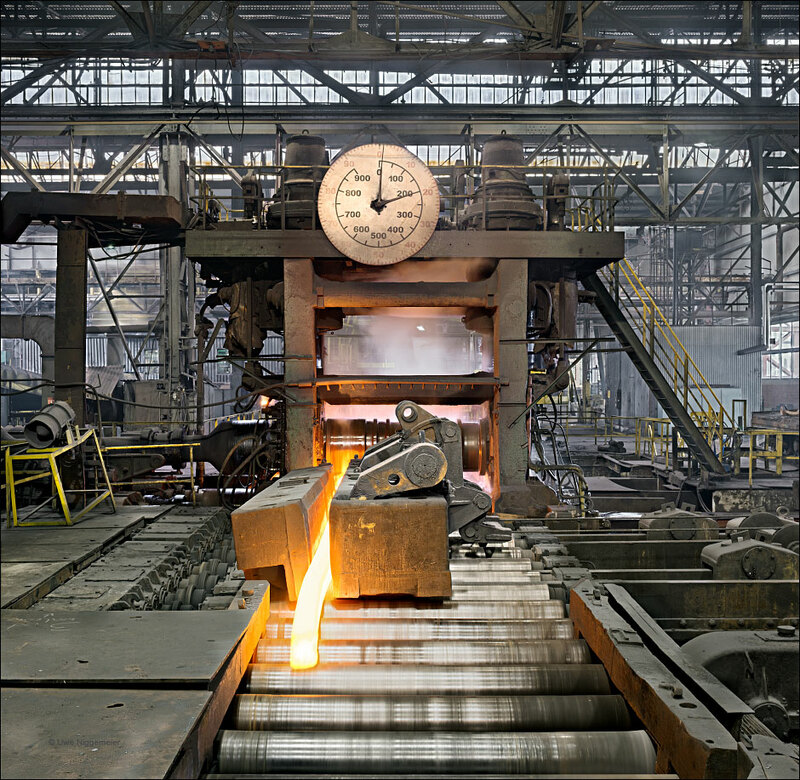 The Huta Kroleweska in Chorzow, Poland was founded in 1797 and started the production of pig iron in 1802. It was named “Königshütte” in honour of the Prussian King. 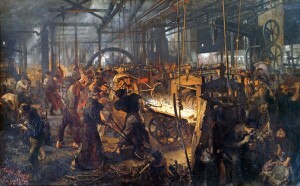 In 1843 a puddling steel mill and the first rail mill went into production. Until 1860 four blast furnaces and a coke plant were built. An open hearth melt shop was installed in 1880 and a Bessemer plant was added in 1895. By 1909 the Puddling and Bessemer mills were closed and in 1912 a Thomas converter melt shop was comissioned. Under Polish administration the plant was renamed “Huta Pilsudski” in 1935. During the German occupation the mill was called Königshütte again and after the war the name of “Huta Kosciuszko” was used. In 1949 the DEMAG medium and light sections rolling mill was installed. In the 1950ies new blast furnaces and coke oven batteries were built. More than 8000 people were employed. Steel production ceased in 1978, the coke plant was closed in 1982 and the last blast furnace was blown out in 1991. In 1992 the wire rolling mill was closed down. 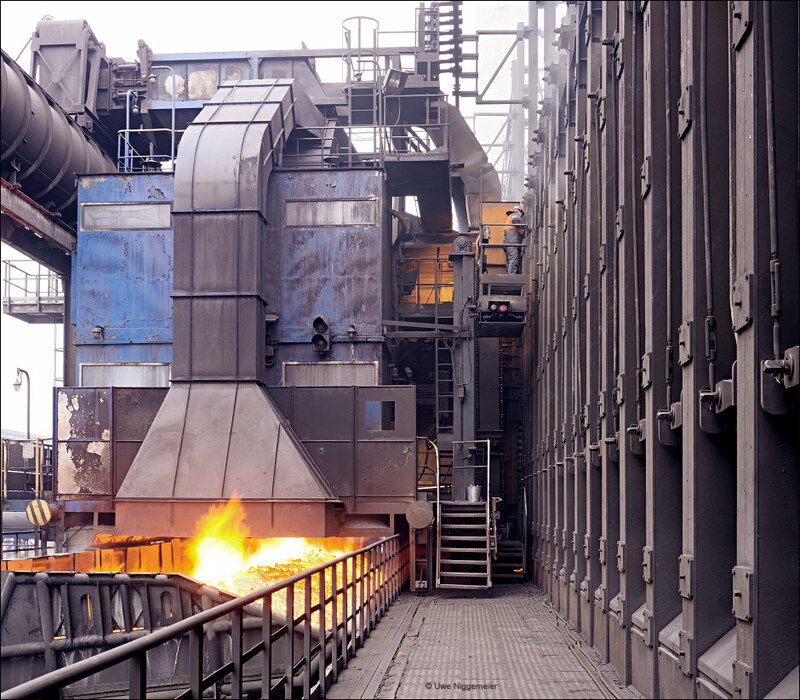 In 1994 a new walking beam furnace was installed for the heavy sections rolling mill. In 1997 the light and medium sections mill was modernized. The Huta Kosciuszko became a shareholders company in 1998. In 2007 the ArcelorMittal steel company takes over the mill under the name “Huta Krolewska” (Germ., Königshütte). 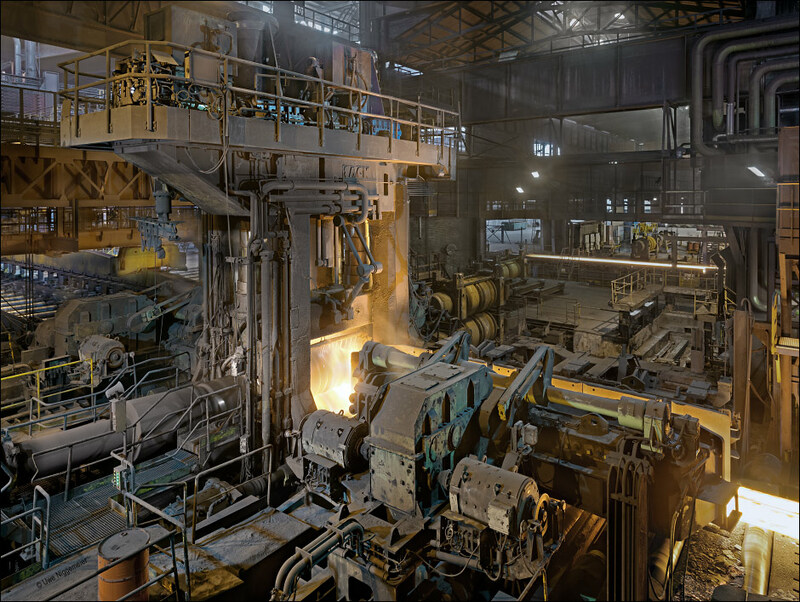 Huta Krolewska today runs a heavy sections rolling mill mostly for rails and a light and medium sections mill. Raw materials are provided by the Huta Katowice in Dabrowa Gornica. Video done by a french film maker in the 1980ies. Posted on 24/01/2013 by U.N.
Today the ArcelorMittal steel company announced the closure of the majority of it’s remaining steel production sites in the Meuse valley near Liege, Belgium. About 1300 of the remaining 2100 steel workers in the valley will loose their jobs. Apart from the hot strip mill and the coking plant a cold rolling mill and two galvanisation lines will be closed for good. The liquid phase steel production was already closed in October 2011. The Meuse valley around Liege is one of the cradles of the European industrialisation. Posted on 07/01/2013 by U.N. 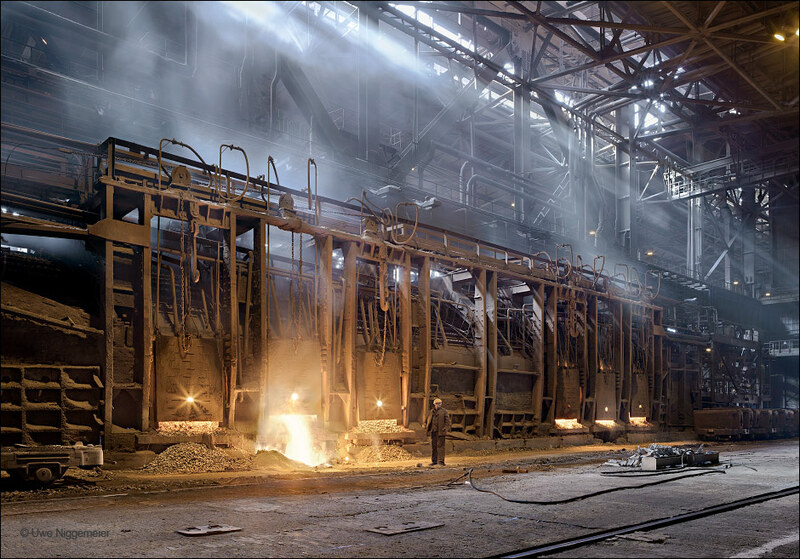 The steel mill in Dabrowa Gornica, Poland was built in between 1972 and 1976. It was named “Huta Katowice” after the nearby industrial town. Three blast furnaces were built in between 1976 and 1987 (hearth diameter 12,00 m). The mill was taken over by the Mittal Steel Corp. in 2003 and got it’s new name ArcelorMittal Dabrowa Gornica in 2007. Besides the three blast furnaces (No. 1 is permanently idleld) the mill operates a BOF shop containing three BOF vessels, two continuous casters (one for billets and one for slabs) and two rolling mills (Heavy and medium sections). Dabrowa Gornica provides primary material for all ArcelorMittal sites in Poland. 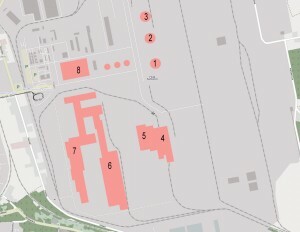 The attached coke plant was sold to an external company. Further images at stahlseite.de .